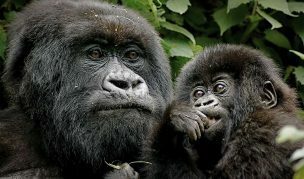 This superb gorilla adventure itinerary is located in the Ugandan highlands and takes us from the Virunga volcanoes to ‘The Impenetrable Forest’ of Bwindi, home to Uganda’s mountain gorilla population which numbers around 320, approximately half the total number remaining in the world. 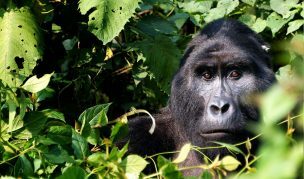 Bwindi is located in the south western corner of Uganda where the terrain consists of volcanic mountains and deep valleys and is close to the borders of Rwanda and The Democratic Republic of Congo. 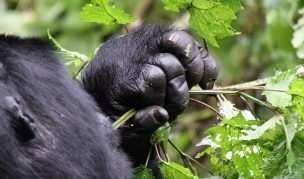 Our Gorilla Adventure Challenge offers a tough and varied trekking experience with the added bonus and ‘must see’ experience of a possible close encounter with mountain gorillas in their natural habitat. 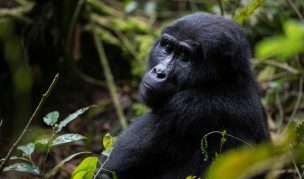 Found in the Bwindi Impenetrable Forest the mountain gorillas are surrounded by an ecological treasure-trove of species that have populated this 25,000 year old forest. 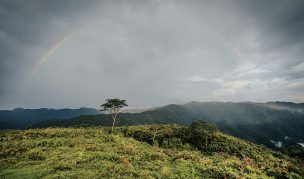 Our final destination is the village of Nkuringo located on a hill-top and enjoying spectacular views over Bwindi’s forest canopy and affords visitors magnificent 360 degree unconstrained views of the surrounding volcanoes. After breakfast transfer by road to the south western corner of Uganda to the town of Kisoro where we have lunch at Igongo Cultural Centre before continuing our journey to the start point for our trek at Mgahinga nestled at the base of the Virunga Volcano National Park our home for the next two nights. After dinner we will meet our local guides who will brief us on the adventure that awaits us. Accompanied by Uganda Wildlife Authority guides we will trek onto the lower slopes of the dormant volcano Mgahinga, which translates as pile of volcanic stones. After around two hours we will reach the bamboo zone where we hope to find the Golden Monkeys, an endangered species that is only found in this remote part of Africa. Our permits will allow us to spend an hour in the company of these fascinating animals as they play and eat in the branches above us. After breakfast begin our trek north towards Kisoro. Our trek today takes us through an area of volcanic craters some of the slopes of which are being cultivated by the indigenous Bakiga farmers and home also to the Batwa pygmies. As we walk we will gain a fascinating insight into the daily lives of local people. We will be greeted by lots of children and local people as they tend their fields and livestock and collect water from local springs. Continue to the shore of the beautiful Lake Mutanda, where we enjoy our packed lunch picnic; If we are lucky we will see otters swimming close to the shore with a huge array of colourful bird life including kingfishers, weaver birds and cranes. We continue in a northerly direction, in dug-out canoes, piloted by local tribesmen. The 2.5 hour canoe journey passes quickly as the spectacular beauty of the lake and its surroundings is revealed. We may see fishermen checking their nets, people taking produce to market by canoe and people cutting reeds to be used for construction. We disembark on the lakes’ northern shore at Rwanjenje. Stay for the night at Chameleon Hill Lodge. From here we start a six hour trek to the village of Nkuringo at 2161m on the Nteko Ridge high above the forest canopy of Bwindi. The route takes us over and around many of the volcanic calderas that form this millennia old landscape. You will marvel at the agricultural terraces that cover these steep hillsides. Our expert guides will take great pleasure in pointing out a wide variety of flora and fauna. 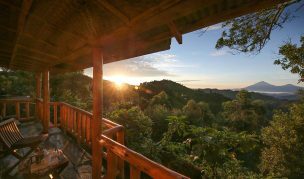 Our home for the next four nights will be Nkuringo Bwindi Gorilla Lodge which enjoys un-obscured views across the Kinshasha River valley and the chain of volcanoes known as the Virungas which stretch across the borders of Rwanda, Uganda and the Congo. 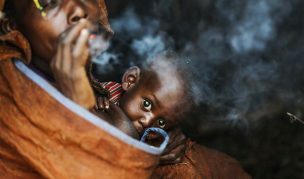 We will have the opportunity to trek through the Nkuringo Pocket Forest that straddles the Nteko Ridge and where we will be treated to an insight into the ancient ways and culture of the local Batwa Pygmy tribes. We will also have the opportunity to walk to other local villages and enjoy a traditional lunch at one of the village homesteads. You can even help with the preparation and cooking of the food. We will drive back to Kisoro for your flight back to Entebbe. Approximate arrival time 10.30hrs.